Incredible landscapes, gleaming white-sand beaches, awe-striking waterfalls, luxurious resorts, and not so ordinary people of Kauai… This is what it takes for this tropical paradise-island to become center of attention of numerous tourists. We all agree that the natural resources, weather, and location of the island entice the visitors in the first place. However, the people of Kauai are what make the tourists come back over and over again. According to the Conde Nast Readers’ Choice Awards, the not so ordinary people of Kauai are the friendliest representatives of the Hawaiian Islands. 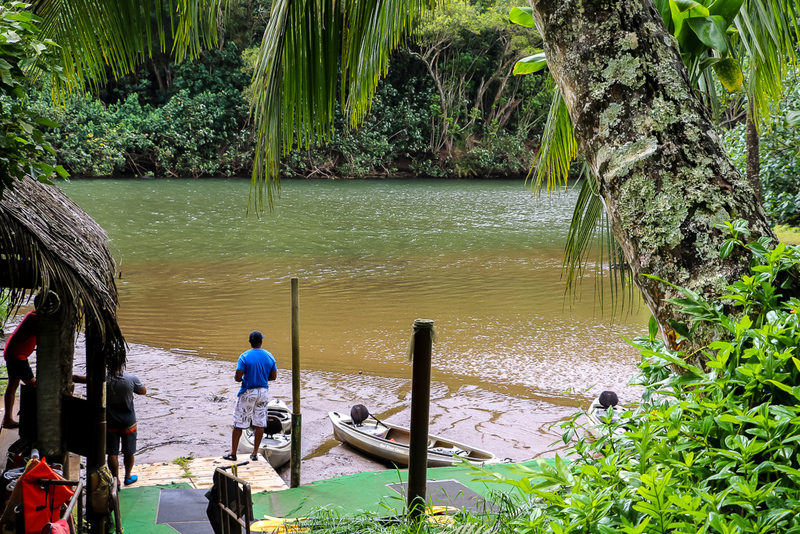 With no officially imposed on them responsibilities, the locals of the Garden Island voluntarily take on roles of hospitable and engaging hosts. With their charm and easygoing nature, the Kauai natives treat every visitor like their personal guest, making them feel welcomed and at home. 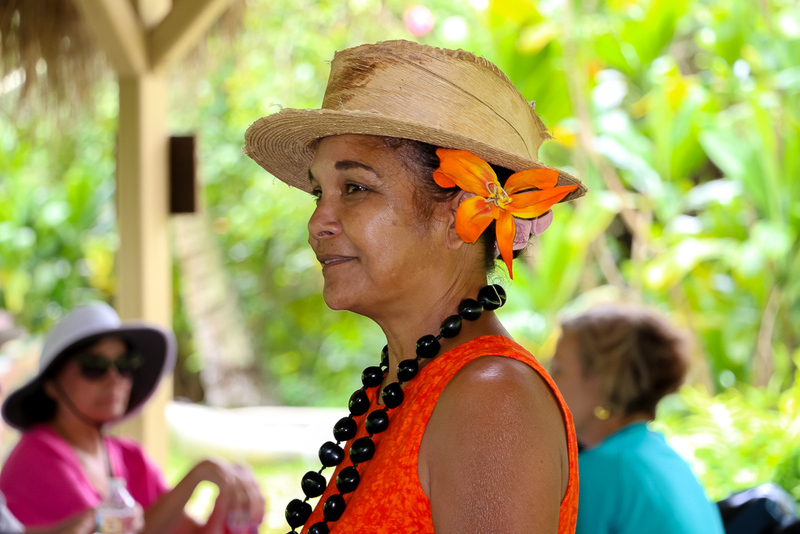 The not so ordinary people of Kauai are a relatively small but diverse group of people. About 70,000 residents call the island their home. Although majority of the islanders have some kind of connection to Asia in particularly China, Japan, Korea, and the Philippines, the rest of the population does not stay far behind in their diversity. Native Hawaiians, Alaskans, American Indians, Puerto Ricans, and Portuguese live happily side by side on the Garden Island. There is no better way to learn a new place than to meet people living there! I am not sure if it is somebody’s quote or my personal pearl of wisdom. Anyway, I wholeheartedly believe and go by this saying anywhere and everywhere, including Kauai. With thus being said, we met one of our first of many not so ordinary people of Kauai rather by accident… We stepped out of the airport, waiting for car rental’s shuttle to take us to their office. Knowing that a car is a must on the island, we booked it with Economy a few weeks prior our trip. Jordan, shuttle driver, showed up a few minutes later. Young man probably in his mid-twenties turned out to be a very attentive and intelligent person. Seeing our carry-ons, he naturally and at ease took an interest in what had brought us to Kauai, where and for how long we were going to stay here. These were probably the most common questions in such situation. But the ice was broken and it gave room for more questions and answers. During our five-minute-ride to the rental office, Jordan equipped us with more information and useful tips than my hours-long Google search a few days before. His every word and movement showed sincere attentiveness and willingness to help. Needless to say, he made a huge impression on us. Definitely, a true kind of the not so ordinary people of Kauai. 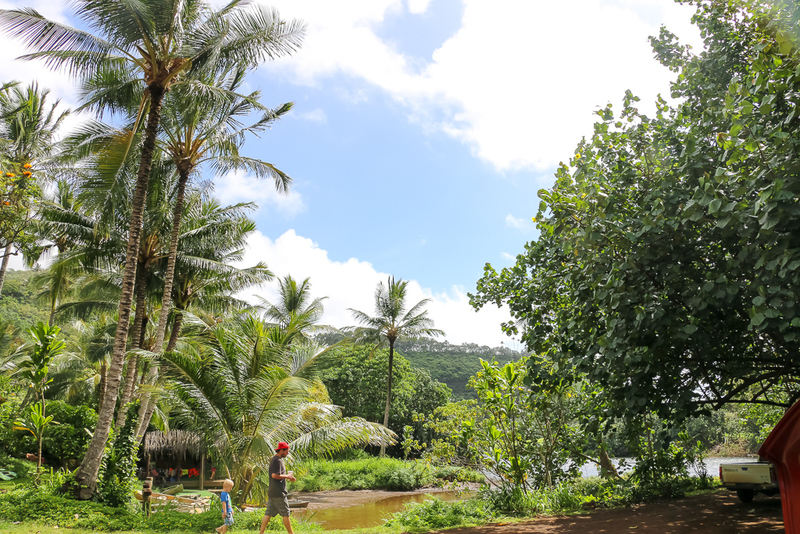 Next, it were Alex and his six year old son Oliver… We met this interesting family at Kamokila Hawaiian Village. Appearing at first glance like another ordinary guy, Alex happened to be a vivid nature and outdoor enthusiast. 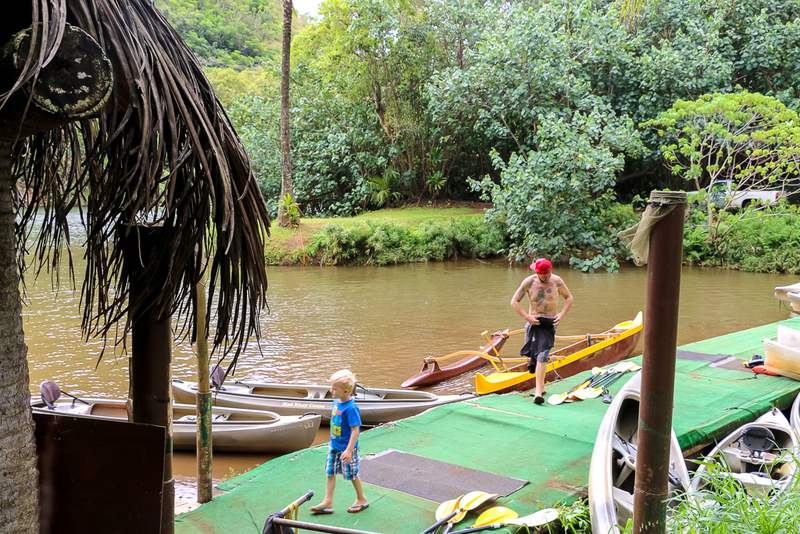 Entertaining the guest by offering them guided outrigger canoe rides down the famous Wailua River, he was the heart of the village. One of the not so ordinary people of Kauai, no doubts about it. Permanently residing on this Hawaiian island, by virtue of his surroundings and plenty of outdoor activities, Alex was a very active and entertaining man. Every day from early morning until evening he spent in nature giving endless canoe rides. Definitely, it was not an easy task that required both strengths and endurance. But in spite of physical challenges of this type of job, it was obvious that Alex loved it. Like majority of the natives of Kauai, he loved staying active and spending time outside. That was not just a part of his job. More important, it was part of his life and daily activities. The same qualities, interest, and respect for outdoors and nature Alex installed in his son, his constant canoe companion. Together the farther and son entertained their guests beyond any measure. While Alex provided plentiful information about the island, Oliver could not stop adding “savory details”, omitted by his farther. For example, the smart boy warned every canoe guest about ten-tooth crocodile who lived in the river and found any hands dipped in the water very delicious. Never mind, that no other not so ordinary people of Kauai including his own farther had never seen, heard or known about the crocodiles in Wailua River. Here at Kamokila Hawaiian Village we met another extraordinary person of Kauai. 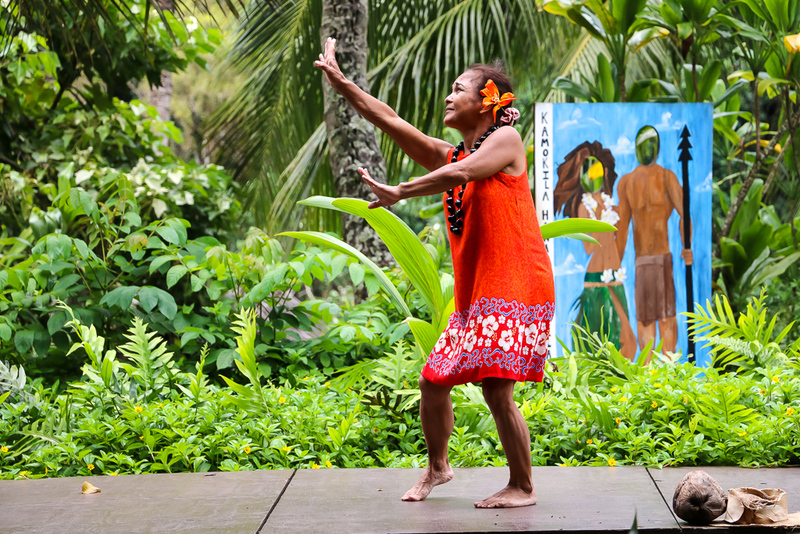 Hula dancer, song writer, and singer, Annie instantly attracted our attention. Whether it was her bright orange dress or small table with old tape recorder, stack of CD’s, crystal stones, and different kind of hula rattles, but we desperately wanted to see what this petite lady was going to do. Slowly, ignoring curious glances from a small crowd behind her, she turned on the tape recorder. An old Hawaiian song broke the silence. And a few seconds later, Annie who seemed to carry an invisible plume of calmness, grace, and some kind of creativity gave us a hula dance performance. Moving to the rhythm of the music, she looked very happy, enjoying every move of the dance. The moment one song ended, Annie turned on another one and began to sing along woman’s voice on the tape. It was her… A woman on the recorder tape and a talented dancer and singer in front of us was the same person. As we learned later, a creative from Kauai, at some point in her life, Annie had left the island to pursue her artistic career. She traveled the world, performing and recording her songs. But her heart was here, with the incredible nature and the not so ordinary people of Kauai. She returned to her roots and has been sharing her art and creative nature with the locals and ample tourists ever since. Finally, the world-famous word “Aloha” is not limited to just a friendly greeting or genuine farewell. Aloha represents culture and traditions of the Garden Island. It includes unwritten principles and norms engraved in the hearts of the not so ordinary people of Kauai. It is a way of living. A spirit that makes the island and its inhabitants friendly and welcoming to each other and the visitors. You will see that warmth and eagerness to help everywhere. Genial smile of a hotel receptionist and detailed instructions of a grocery store cashier make your feel at home. Perky expressions of a side-road fruit seller and friendly faces of strangers invite to participate in this island life. The spirit of Aloha is very strong and contagious in Kauai. Before you know it, you yourself start doing to others what they want to be done to them. “Welcoming the stranger and seeking his or her good, loving a stranger even if love is not returned” (Reverend Abraham Akaka) will bring you one step closer to becoming one of the not so ordinary people. The spirit of Aloha, love toward nature, attentiveness, creativity, active lifestyle and eagerness to assist are some of the most common traits of the not so ordinary people of Kauai whose power is in unity, contributions, and acceptance of everything and everybody. Jordan, Annie, Alex, and Oliver are just some of the most amazing people we met during our trip to Kauai. The truth is we were lucky to get in touch with many more incredible islanders that all are the not so ordinary people of Kauai.